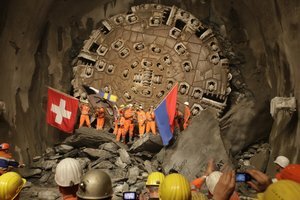 AlpTransit Gothard has broken though to connect both ends of the longest tunnel rail link in the Swiss Alps. The tunnel is 57km in length and will take another six years to complete. The Court of Appeal has upheld a decision made by the Competition Commission that BAA Ltd must sell Stansted and either Edinburgh or Glasgow airports within two years. Holiday Inn Express Staten Island has opened; the new hotel is conveniently located between New York’s three main airports, close to the metropolitan centre and to Interstate 95. InterContinental Hotel Group (IHG) has signed four hotel contracts in Hong Kong. The contracts are for expansion in Taipei, Hong Kong and Xiamen and will add 700 rooms in hotels that will open under the Hotel Indigo and the Holiday Inn Express brands. Network Rail has published the new Northern Route Utilisation Strategy (RUS). Over the next ten to 20 years the strategy forecasts rail usage in the north increasing significantly. The strategy forecasts increases of 30-45% in passenger rail travel in cities such as Leeds, Liverpool, Manchester, Newcastle and Sheffield by 2019 and increases of between 60-75% by 2029. The RUS is now being consulted on and sets out the priorities for the railway in the north over the next 20 years. The strategy includes features such as the Northern Hub and new platforms at Leeds, Huddersfield and Manchester Airport stations. 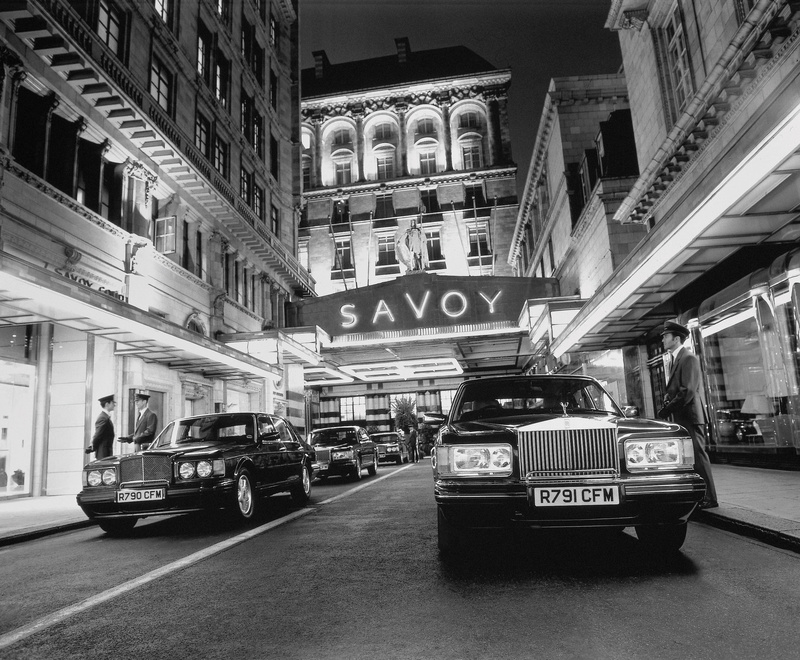 The world famous Savoy Hotel re-opened its doors after three years of refurbishment that started in December 2007. The hotel was officially re-opened at 10 minutes past 10 in the morning on 10 October 2010. To date only 55 of the 268 rooms have been re-opened so far. During the refurbishment the hotel has added a new two-bedroom Royal Suite. Virgin America has started scheduled passenger services on 13 October 2010 to Orlando from both Los Angeles and San Francisco. The services will be operated by Airbus A320s. Launched in 2007 Virgin America now has a fleet of 29 A320s and has an outstanding order for a further 40 aircraft. Over the next four days all the business jet manufacturers will gather in Atlanta, Georgia for this year's National Business Aviation Association convention. The convention will have a number of issues to discuss and aircraft manufacturers will showcase and launch a number of new aircraft designs as well as new interiors and modern technology that today's business jet aircraft need to compete in a tough marketplace. AERBT looks forward in reporting some of the news that comes from the show. Eastern Airways has added a Sunday service to their Newcastle to Cardiff route. 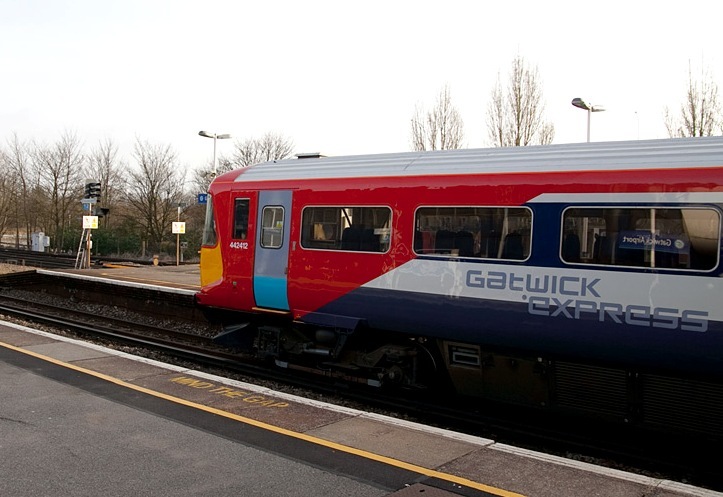 The new service will start on 31 October 2010. Eastern Airways has been operating two flights each weekday since 2006. Hong Kong Airlines has finalised a contract for the firm order of ten more Airbus A330-200s and has converted an existing order for A330s to a new order for the A350XWB. Deliveries of these A330-200s will begin in 2012 and the A350XWB will join the fleet in 2018. The aircraft will operate on long haul routes from Hong Kong to Europe and America. Japan Airlines will introduce a new international executive class seat – the JAL SkyRecliner when the airline receives the first of four new Boeing 767-300ERs from the manufacturer starting later this month. The aircraft will also be equipped with the most up to date inflight entertainment system MAGIC V which now offers touch screen and compatibility with personal devices. 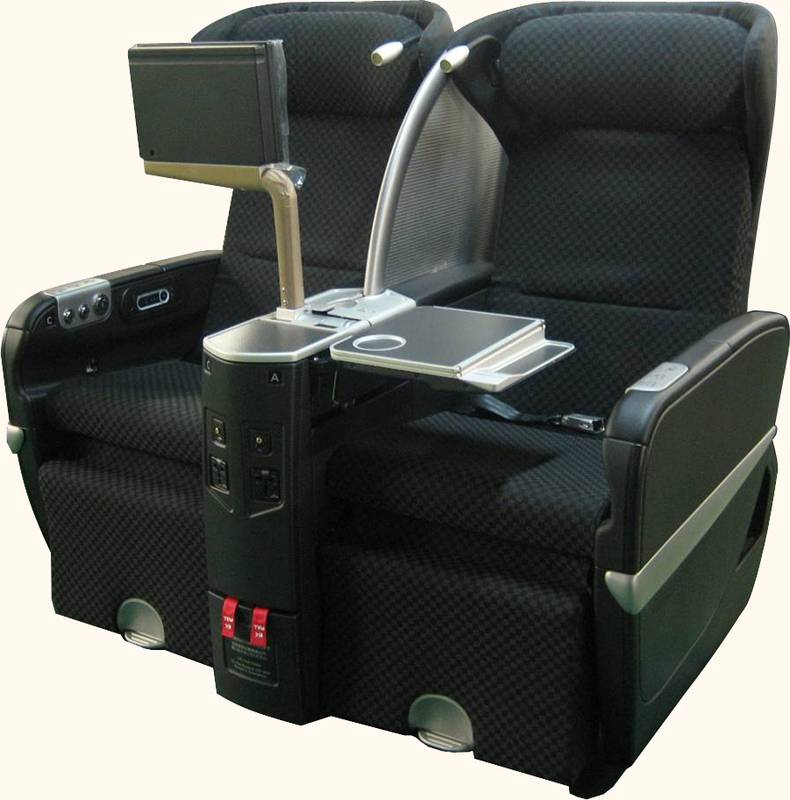 The SkyRecliner is modelled on the JAL First Class seat and has removable armrests. The seat has a 51 inch pitch and can be reclined to 132 degrees. The seat also has an individual 10.6 inch TV screen with video input, a USB port and electrical power outlet. 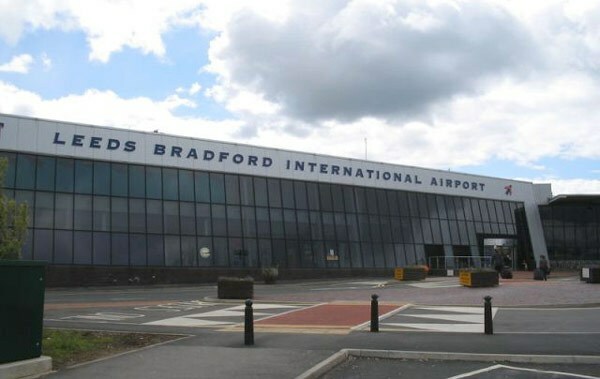 Leeds Bradford International Airport will serve Geneva during the winter ski season, easyJet will operate a five times a week service starting on 17 December 2010 to 24 April 2011. Titan Airways is completing final arrangements to launch a new brand Titan Airways Executive. The new brand will come on line when Titan Airways Executive takes delivery of a newly built Embraer Legacy 650 business jet direct from the Brazilian manufacturers. 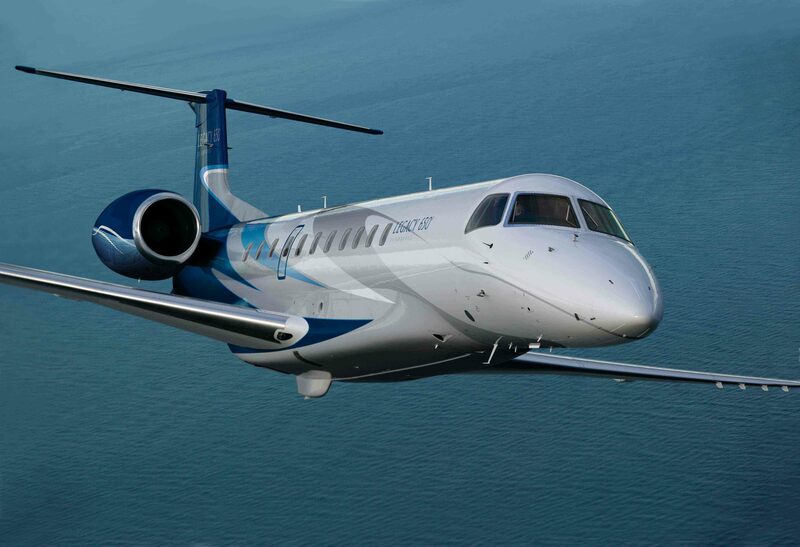 The Legacy 650 will join Titan’s Beech King Air 350 and 44-seat Boeing 737-300. The last two decades have seen the emergence of high speed rail, cruise/ferry and rail termini, container ports and multi-lane trans-national highways as increasingly important hubs and spokes in global transport networks. They provide the connectivity for goods and passengers which is an essential pre-requisite to the effective functioning of both developed and emerging economies. Yet no other mode of transport has currently seems likely to usurp aviation’s place at the apex of a modern economy’s transport hierarchy. As long as people (and freight) need to move quickly across national borders and over long distances airports will continue to provide a the most high profile and recognisable of transport gateways and a public statement of the scale of ambition of a country or major city. Recent investment in Vancouver International Airport (YVR) suggests that the City of Vancouver, and its host region British Columbia, are determined to position themselves firmly at the heart of one of the trans-Pacific corridors through which the growth in trade and tourism between North America and the Asian Pacific region, which is expected to be a feature of the first half of the C21st, is expected to flow. This is reinforced by the coherent and admirably far-sighted strategy set out in the Airport Authority’s Masterplan. It incorporates findings from visioning work looking forward 40 years to inform its shorter 20 year horizon. 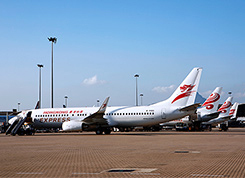 In addition to identifying a distinctive Trans-Pacific and West Coast hub role and its place within the Provinces wider regional airport’s system it also sets out the future capital investments required to support an anticipated doubling or tripling of passenger and freight traffic and air transport movements from the 16.5mppa, 200,000 tonnes and 258,000 ATMs respectively in 2009. - the ability of the city’s growing and increasingly multi-ethnic population to access other parts of North America and the wider world. - the export of its highly regarded management and investment expertise to a range of other airports in Canada, the Caribbean and Europe, through its sister company YVRAS dividends from which are ploughed back into improving the capacity, ground access, environment sustainability and corporate and social responsibility commitments at YVR. - a pleasing ambience for passengers to relax and spend time in the extensive and attractively presented airside retail facilities. The integration of a high quality Fairmont Hotel into the footprint of the new International Terminal and plans for a Sea Island Business Park are other examples of a multi-faceted and sophisticated approach to the maximisation of non-aeronautical revenues. In such a commercially charged environment, the attention given to the exposition of the Airport’s “Earth, Sea and Sky” branding, as expressed in the use of the colour pallet in flooring, glazing and decorative features is extremely effective. However, it is the inclusion of public spaces featuring First Nations art, which demonstrates a laudably far sighted recognition by YVR’s Board and management of the need to create an “sense of place”. This is fundamental to their vision and to securing long term community, investor and political support. The “Green Wall”, which faces arriving passengers as they head for the new Skytrain Station, the spectacular Sea Life Centre aquarium in international departures, and the striking elliptical Link Building joining the domestic and international terminals could all have been value engineered out of a more prosaic, cost-conscious design. Yet they now stand as testaments to the wisdom that investment in such assets will produce intangible long term benefits to future commercial performance. Combined with the presence of a public park within the airport boundary and an eclectic mix of aircraft, including float planes on the nearby Fraser River and a Canadian Coast Guard Hovercraft, YVR is undoubtedly a unique and distinctive airport. - Regional local commuter services within BC and on into Alaska. Air Canada (and its Star Alliance partners), which currently carries 50% of Vancouver’s traffic is a key partner in realising this strategy. But YVR are also looking to its other major carrier WestJet’s new code-share agreements with Cathay Pacific, Taiwan’s China Airlines and prospectively other Asian and European independents to also make a major contribution. BC’s Premier Gordon Campbell’s announcement in September of the removal of tax on aviation fuel for international routes, the Airport’s own 5 year incentive scheme and the Canadian Government’s ‘Asia Pacific Gateway and Corridor Programme’ are all signs of a joint commitment to take advantage of YVR’s favourable position on Great Circle routes and its significant Asian population, to make it the premier global gateway of choice linking the Asia-Pacific Region to the Americas. But it faces significant competition in this enterprise from Los Angeles, San Francisco and Seattle and will not be helped by the fact US carriers now have improved bi-laterals allowing them to fly direct to Asia from established bases in the USA, whilst Canada has not liberalised Fifth Freedoms for such routings. Despite its many successes, which may well attract shareholders of further airports to importing its business model through its YVRAS subsidiary, YVR still faces many challenges if its full potential is to be realised. In addition to developing a hub role, tax and pricing differentials which draw some of its potential passengers to SEA-TAC across the border and NEXUS restrictions means that there is currently only one routes served by a US budget carriers - Virgin America from San Francisco. A low cost terminal allowing differentiated charging structures and efficient NEXUS processing may be the way forward here. A runway extension and a North-South taxiway are prospective medium term capital investment requirements to boost movement capacity to 450,000 aircraft movements per annum. But claiming back bridge capacity over the Fraser River for Airport rather than commuting traffic and improving the 13% public transport mode split already achieved by the Skytrain are more immediate objectives. The prize is a big one, notably turning YVR not just into a major airport and leading Trans-Pacific transport gateway, but a full ‘aerotropolis’ and Vancouver into a fully-fledged global city. YVR has so far risen admirably to this task and appears well equipped to address the many challenges it faces in an increasingly competitive global marketplace through a combination of far-sighted, imaginative and commercially sound management and a deep commitment to the heritage, environment, community and partners that have created a business model of shrewd investment and stewardship that many others will wish to follow. 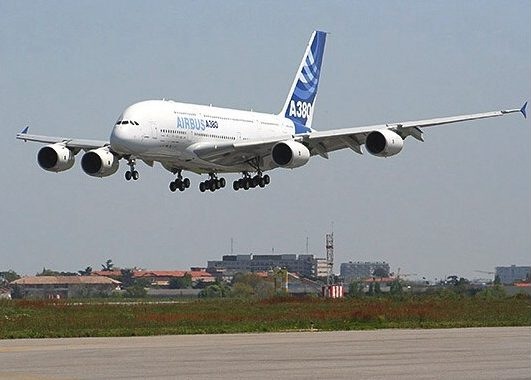 Airbus A380 test aircraft landed at Tokyo Haneda airport on the 15 October becoming the 120th airport able to take the ultra large passenger aircraft. During the visit checks were carried out to confirm that both the airport and aircraft could be handled and operate safely. 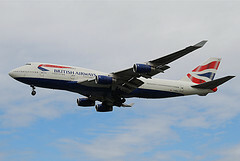 British Airways will begin twice a week flights starting 28 March 2011 from Gatwick to San Juan. 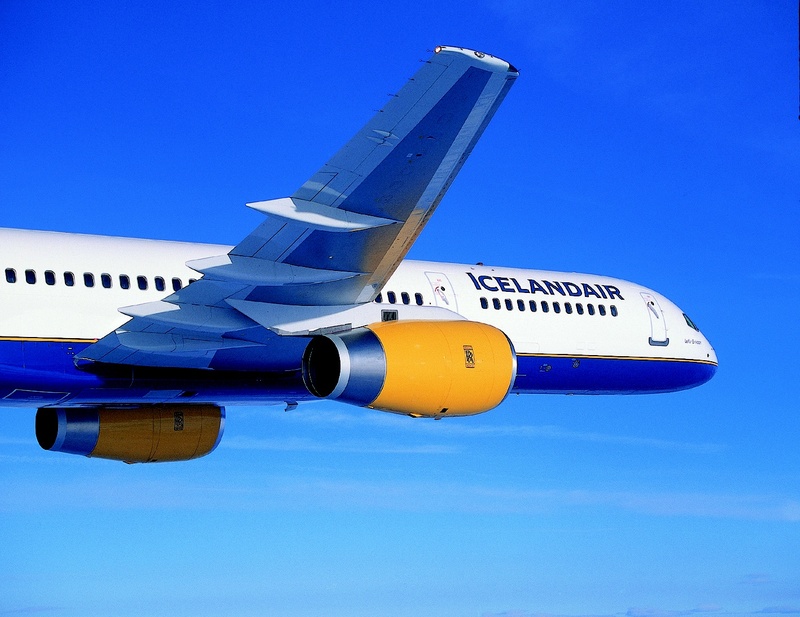 Icelandair is to start passenger services from Heathrow, Manchester and Glasgow airports to Washington Dulles International via Reykjavik from May to September next year. The stopover in Reykjavik will allow passengers to break their journey in Iceland at no extra cost. The route will be flown by Boeing 757. 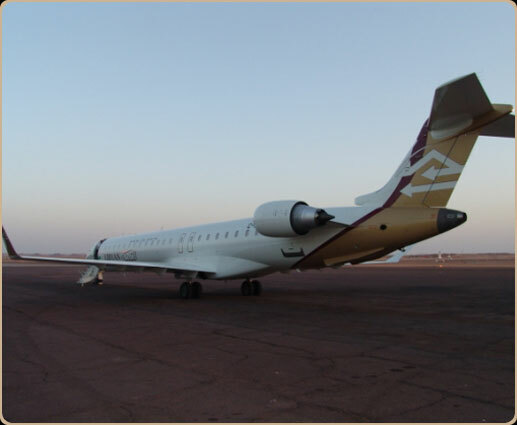 Libyan African Aviation Holdings Company (LAAHC) has signed a firm order for three CRJ900 NextGen and has taken options on a further three CRJ900 NextGen aircraft. The aircraft will be operated by Libyan Arab Airlines, a subsidiary of LAAHC. 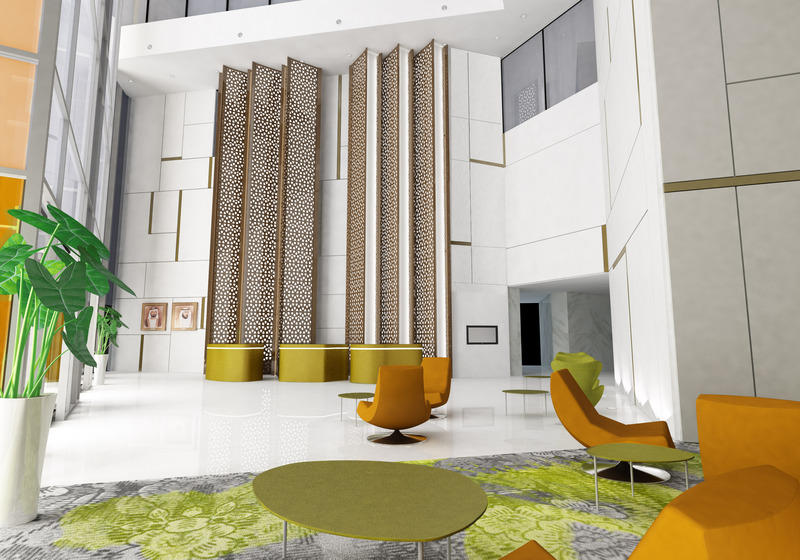 The Rezidor Hotel Group will open the Radisson Blu Hotel, Dubai Downtown in early 2011. The new hotel is the 4th Radisson Blu Hotel in the Emirate joining Radisson Blu Hotel at Dubai Deira Creek; Dubai Media City and the Radisson Blu Residence at Dubai Marina. The Dubai Downtown is close to the Dubai Mall and Souk Al Bahar. NATS, the UK air traffic services provider, published figures showing that in September 2010 there was a 0.3% decline in air traffic movement in the country, compared to the same month in 2009. This is the smallest year on year decline since the global aviation downturn began in July 2008. Air traffic in Europe was effected by two periods of industrial action in France, an air traffic control strike in Belgium and a general strike in Spain during September. There was positive growth in the Transatlantic Arrivals/Departures of 4% and in the Transatlantic Overflights of 6.3%. Traffic at NATS airports decreased by1.3% in the month compared to September 2009.